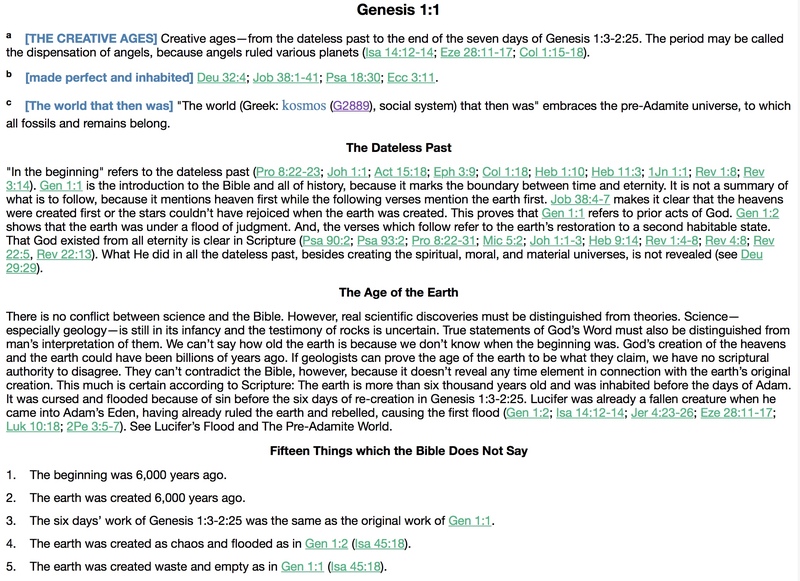 The Annotated Study Bible Notes from Finis Dake - Now Available for e-Sword! A foundational work from a pentecostal/charismatic and dispensational perspective. Some of the author's views are considered to be controversial, but Dake's contains a treasure trove of Bible study insights, background information, lists, outlines, and applications useful for Bible teachers, preachers and all Bible students. Note: This resource includes both Commentary and Reference Book content. From the author's Introduction: "The purpose of this work is to give in ONE volume the helps a student of the Bible needs from many books—Bible Commentaries, Dictionary, complete Concordance, Dispensational Truth, Topical Text Book, Bible Synthesis, Doctrines, Prophetic Studies, and others. Special features include nearly 9,000 informative chapter and verse headings; 500,000 cross-references throughout 35,000 notes and comments; a summary of interesting facts for each Book; and lists of all the commands, prophecies, promises, prayers, questions, sins, apostasies, complaints, failures, plagues, judgments, healings, wars, miracles, assassinations, kings, queens, dukes, lakes, rivers, farm products, valleys, mountains, cities, empires, nations, etc. Thousands of texts are amplified and there are many renderings from various versions. Important Hebrew and Greek words are given with definitions and various ways translated. Obsolete and difficult English words are defined. Parables, types, symbols, fables, allegories, figures of speech and numerous idioms are dealt with. Alleged contradictions and seeming difficulties of the text are made clear. Bible and secular history are harmonized as well as the Gospels. There are enlightening notes on astronomy, bible animals, reptiles, birds, insects, trees, plants, minerals, precious stones, weights, measures, coin values, and other things which will enrich the reader's enjoyment of the Word of God. Modern-day costs are given for the tabernacle of Moses, Solomon's temple, and the sacrifices wherever they are mentioned throughout Scripture. Of particular interest to ministers will be the wealth of sermon material in the 3,400 note-columns—over 8,000 outlines on a great variety of subjects, and 2,000 illustrations. The general principle adhered to throughout is that of literalizing instead of spiritualizing. Statements of fact and historical accounts are accepted as such. THE RULE OBSERVED IS: Take the Bible literally wherein it is at all possible; if symbolic, figurative or typical language is used, then look for the literal truth it intends to convey. During the author's 100,000 hours in 43 years of searching the Scriptures this all-important and fundamental principle of interpretation has been strictly and consistently followed. Novel interpretations have been rejected, and theories supported by personal opinion alone have been laid aside. In the preparation of this work, therefore, the aim has been to prove the teachings of the notes contained in this work with plain Bible references. The reader is invited to see for himself what these related passages are actually saying on any given subject found in the notes. In this way he will learn well the lesson of "rightly dividing the Word of truth" (2Ti 2:15); and he will see that the Holy Bible is in perfect harmony throughout. It was not in the format I expected. I expected it to be in a separate book or booklet form too. That would have made it easier for me to use as a study aid rather than having to follow the references back and forth like in the actual bible. I love all of his reference notes but when you are studying, it is cumbersome to have to search for a reference and lose your place where you are studying. But, having said that, I do like it. this is a great addition for study! I've enjoyed the Dake's Study Bible for a long time. Having this on my computer for my study's is a tremendous asset and helpful, quick reference. Dake;s study notes, help to give clarity to some of the scriptures that I struggle to understand. Thumbs up. I appreciate the research and time that went into creating these study notes, and I would certainly recommend them to any serious student of God's Word. These notes offer time tested commentary on many scriptural passages and show solid discernment for the dedicated observer of human affairs and what the Bible says about them. Very useful in itemizing outlines of historical issues affecting the studied text, not found elsewhere in a concise usable format.Many references O.T. - N.T. correlating textual topics adding substance to sermons and Bible studies. Very useful tool. Thanks for making it available. This Bible are the most informative and helpful I’ve ever used. I was so excited when I saw it on e-Sword and had to download imidiately! I also have a hard copy and use it every day! It really help with so many wuestions while reading the Bible and there are so many interesting things inside as well! Thanks for a great reference Bible! I use to have the hard copy but I decided to have the soft for convenience sake since I downloaded I have a great experience. I really love it. I've owned--and worn out--two Dake Study Bibles since coming to the Lord over 40 years ago. As a father, a pastor, and as a disciple of Jesus who just wants a STRAIGHT, "fundamentalist" systematic theology and grounded commentary as I read God's Word, I have valued Finis Jennings Dake's work. So glad his children have taken up the torch. Now, I own numerous Bible translations, but keep mainly to the Dake and Amplified (Classic), moving back and forth as I need. But, when reading the Amplified, I miss Bake's columnar notes and "Complete Concordance - Cyclopedic Index"...primarily because either the Lockman Foundation or Zondervan evidently went with a standard Concordance. The latter is good, but Dake's resources take First Prize. I must confess that, in the earlier years, I often paid more attention to the commentary/notes columns on each page instead of the Biblical text. 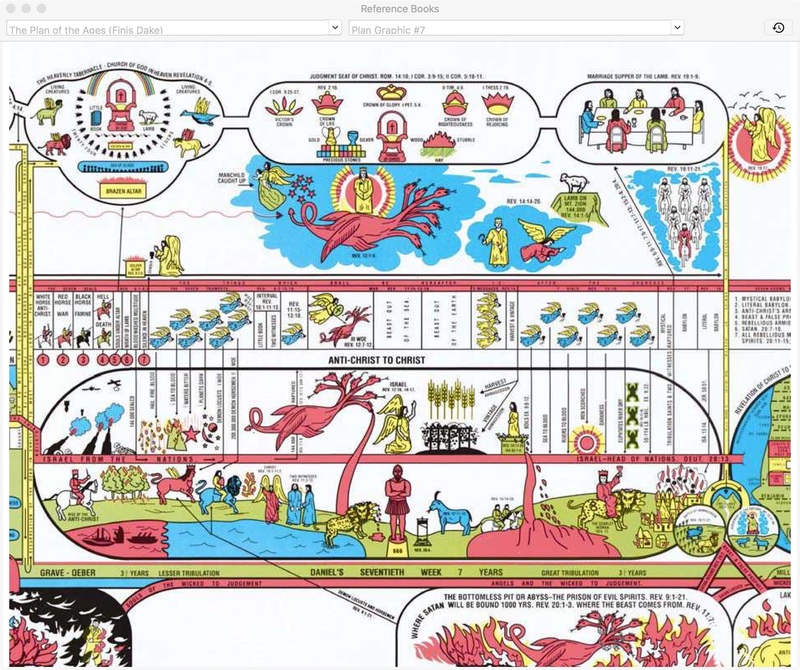 AND NOW--as the curtain is falling at the end of the Age of Grace (Dake was a dispensationalist), you've made available his great work for my Mac(s)!!!! Praise the Lord and God bless you! This is an incredible resource, I am very grateful to be able to use it on e-Sword. I have 3 very expensive bible programs I purchased years ago while teaching, every year I upgraded my programs. Now I almost exclusively use my e-Sword. Praise the Lord for Ricks dedication to empower the God’s people with good resources. Dakes challenges us to dig deep into God's word. The Dake's Study Notes are a great addition to the e-Sword library. Having his notes available at the touch of a button is so much easier than flipping through the pages of his Bible. It makes taking notes a breeze. I can put sermon notes, write Study Note and even Journal using Dake's Study Notes. My husband and I have been using Dake's Bible for over 20 years. We love the electronic version of his notes. This is a great source to have on e-sword! It’s very simple to you as well. Excellent resource for my in-depth Bible Studies! This is the best software around. This software is easy to use ,easy to manipulate around . I bought this in the hope that it would help me gain a better understanding of the Bible - oh my, what an incredible resource it turned out to be! I combined the purchase of this, with the download of The Message Bible for e-Sword, and have found a whole new level of understanding. More importantly, I now look forward to reading my bible! You simply can't/won't go wrong buying this biblical resource. I have used Dake's annotated Bible for many decades. It is nice to be able to use it on my PC. Precise and direct. I find this a very good jumping off point if you are looking for a word study. I is a very good bases to get into what the meaning of the word says. I was so excited when I saw the announcement that Dake's study notes had been added to the e-Sword offerings. My Dake's Bible was one of the treasures I had to leave behind when we moved to Jordan. Thank you so much for making that part of the Library. The software is well produced and easy to use. It is easy to compare the commentary with other commentary. Dake´s commentry is controversial on some theological subjects, but so are a lot of other commentaries. Dake´s commentary is good to have to complete the library of commentaries and to provoke some thoughts. E-Sword is my favourite Bible software. This is a must to buy. It has a wealth of knowledge in it. You will not find this much information in any other study bible. I was going to ask them to add this and they did it with asking. God answered my prayers. I have a Dake Reference Bible that I have used for years and I really like it that is why I ordered it for e-Sword, I thought that now I have two great helps in one package, but I cannot get to the information in e-Sword. I know that the problem is operator error, which adds to my frustration. It will be wonderful when I do get it to work. Having carried a Dake's Bible for years I longed to something similar on eSword. It is not the answer to every question, but certainly adds credibility and cross references. I wish, much like the NET Bible, that it was tied directly to a word or verse. Overall, I am so thankful a good eschatology aid. The Dake Study Bible is really helpful to me in teaching adult Sunday School. His perspectives on scripture are refreshing. I am very glad I added this to my collection of commentaries. Have had the hard copy for years. But now its great to have it on e-Sword on my iPad. This Dake product is insightful and easy to use. 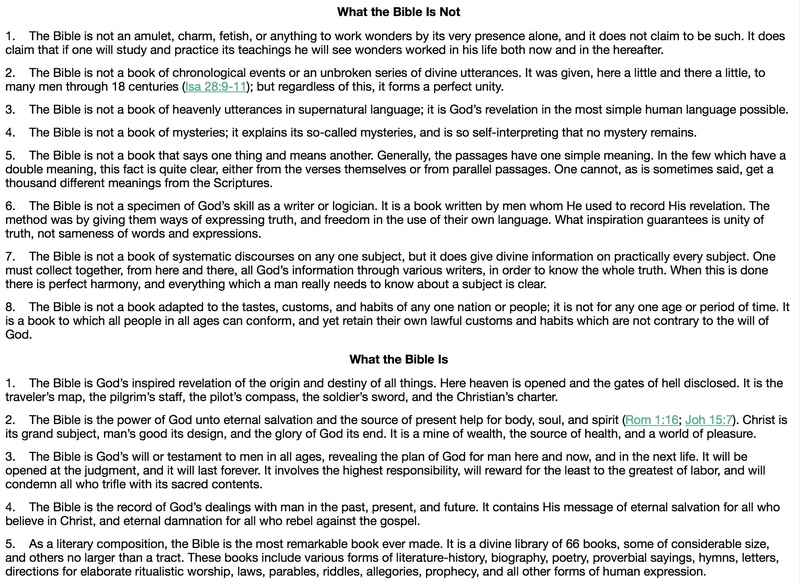 While there remains some controversy over Dake's bible and study notes, I have found them to be particularly helpful. It is a great resource; but never use just one resource in any research.